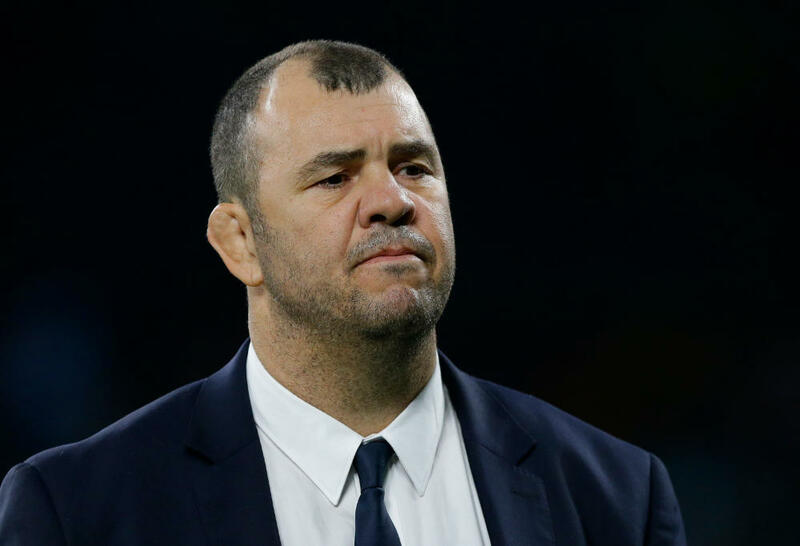 Why did Cheika go public with Wallabies' fitness concerns? How would you select an Australian team? (Screenshot: Fox Sports). How would a twinkle-toed Tatafu Polota-Nau go on the Bridge of Blades? Would Allan Alaalatoa make it up the Warped Wall? Could Nick Phipps get all the way to the Chimney Climb? I’m an unabashed Australian Ninja Warrior fan, and all of Michael Cheika’s fitness talk has got me imagining how some of the Wallabies would go. Perhaps Cheika could’ve proposed a series of Australian Ninja Wallaby to the producers to get the guys ready for the Rugby Championship. Maybe the upcoming culling of the Super Rugby side should be decided over the obstacles on Cockatoo Island. The Melbourne Rebels nominate their best ten players. The Western Force do the same. Head to head. Winning team survive; losers say goodbye to Super Rugby. Bill Pulver could do Freddie Flintoff’s job as sideline colour commentator. C’mon, that would be great TV. I’m going on a bit of a tangent. Like the Basket Toss. Geez that looks tough. But why would Cheika go public with his we’re-not-fit-enough line? His perception that Australia’s elite rugby professionals aren’t elite enough fitness-wise has become a pretty big deal over the last week. It seems to have become a big focus, how the squad of 38 have been flogged on the training paddock. But it’s also a slap in the face, a public shaming for the coaching staff at the five Super Rugby franchises. Not that he’s the type of character that is overly concerned about ruffling feathers. But to go public with it seems petty to me. It was alluded to following the three June Tests also. 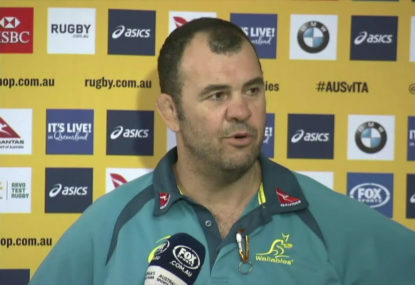 The Wallabies coach questioned whether Australia were fit enough to play the style of rugby he wanted them to play. That seems to paper over the fact that they were severely underwhelming, out-smarted and out-enthused in a 24-19 loss to Scotland in Sydney and needed two late tries to put away world No.14-ranked Italy in Brisbane. In both Tests, a bag of errors – with and without the ball – were made early in both games when fatigue wasn’t a factor. And Cheika should be skillful and bold when using his bench if he feels like his starters are tiring. A lift in fitness isn’t the panacea to beat the All Blacks and the Springboks. I like old-school markers – such as the one Eddie Jones is a fan of: you know, how quick is each player getting off the ground after making a tackle and back in the defensive line ready to go again? The fastest are the ones you want in your side. Of course fitness helps, but desire stands above it. George Smith is allegedly average, even below average, in a beep test. But he’s your man when the heat is on in the 70th minute and you need a blast of inspiration. Given the Wallabies have more preparation time for the Rugby Championship due to the Australian teams’ Super Rugby flop, there’s probably enough time to get in some brutal hill sprints and stair climbs until a few are on the verge of an up-and-under. You get the feeling Cheika would like to get some of his players slugging it out in the octagon if he could. There’s still three weeks for Cheika to instill the technical side of the strategy to knock over the All Blacks. Hopefully the sapping sessions get the best out of a Wallabies squad who should rightly be hurting after an ordinary past 12 months. Cheika’s champion Super Rugby side of 2014 were super-fit. But I don’t reckon Cheika should feel like he has the power to dictate the physical benchmarks at each Super Rugby club as far back as January when they get together in the pre-season. Each coaching staff have their different styles in which they want to play and that governs how they prepare their players physically. And those coaches should live and die by their own planning, including that involving strength and conditioning. That’s their domain. Not the Wallabies. Cooperation and collaboration is best, but final calls should be left with the Super Rugby franchises. Those coaches – who are fighting tooth and nail for their own futures – shouldn’t have to be looking over their shoulder at Cheika and his fitness police.